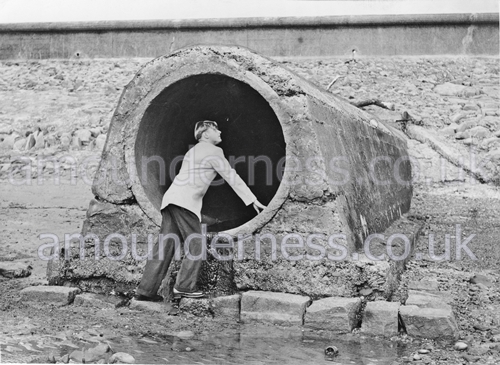 Sluice Pipe, Fairhaven Lake 1951. The sluice pipe used to fill Fairhaven Lake. In August 1951 Suzanne Hoyle and Leslie Nightingale were swept through this pipe into the lake.